I have always thought the Britannia was pretty cool looking aircraft. I only had the opportunity of seeing one in my time. This great article came from an old copy of Flight Magazine on 3 January 1958. THE headlines in the Jerusalem Post of December 20 said that our Britannia had smashed 16world records. I am not quite sure what they all were, but of two things I am certain. First, that by flying the 6,100 miles from New York to Tel-Aviv non-stop in a time of 14 hr 57 min, we had flown farther, and faster, than any other commercial air- liner. Second, we had convincingly demonstrated that the Britannia is not just a long-range turboprop according to the brochure. I might add that our flight was more than an "anyone-could-do-it" operation with full tanks and a tailwind: as I hope to show, El Al know how to get the best out of the Britannia. We had some difficulty at New York with there fuelling. No matter how hard the El Al engineers tried, they couldn't get full tanks. New York's Avtur had an unusually high specific gravity; had the bowser been capable of delivering at a high enough pressure we might have achieved full tank- age. (Compared with London's 50 lb/sq in pressure, at New York we got only about 35.) As it was, having first drained the tanks and then made careful estimates of fuel mass by measuring its s.g. and temperature, we took off 275 Imp gal short of the Britannia's 8,547 Imp gal maximum usable. For this reason it was decided to remove all but one row of the six-abreast tourist seats, saving about 2,000 lb (and converting the aeroplane—as someone remarked during the trip—into a long-range ballroom). We passengers sat in the 18 first-class seats at the back end. I asked whether we made any difference to the trim, remembering how on a B.O.A.C. Britannia 102 trip last year our hefty captain's retirement aft for dinner had cost us 4 kt. But it was reckoned to make no difference on this aeroplane, notwithstanding the critical nature of our flight, and we were certainly very comfortable in our berths and slumberette seats. There were 25 people on board, made up of two flight crews (totalling ten); three technicians from Bristol and D.H. Propellers; three journalists besides myself (representing the Manchester Guardian, Time and the Israeli Press); Mr. J. E. D.Williams, an Englishman who is in charge of El Al's planning and development; Mr. Yoel Palgi, El Al's deputy managing director; and seven others. Our commander was El Al's chief pilot, Capt. Zwi Tohar, a wartime R.A.F. Bomber Command pilot (Wellingtons) who has been flying the Atlantic for El Al since the airline was formed in 1948. The idea was to get up high quickly and to cruise as high as possible without running into the Britannia's Vno of 250 kt. Ideally, for maximum range, we should have cruised at the speed for minimum drag, i.e. at maximum L/D, drifting up in a cruise-climb as we burnt off fuel weight. But this idealized method of getting the most out of a turbine aeroplane is no longer permitted for traffic control reasons, so we made the most of the stepped-climb procedure. We took off at 0630 G.M.T. (Zee, as the Americans call it), and climbed fast, leveling out at our first selected cruising level of 25,OOOft, an odd-number quadrantal height since we were flying eastwards. Our take-off weight was161,000 lb, considerably less than the new approved gross of 180,000 lb for the Britannia 310-serics. Soon after take-off the stewardess switched off the cabin lights, since it was long past our American sleeping time. I arranged to talk to "Jed" Williams and to Mr. Palgi in the morning. It was the phrase "in the morning" which more than anything measured the length of the journey ahead. In the next 15 hours we were to have a night's sleep, breakfast, lunch, and dinner— and we would still have three hours to go before arriving overhead at Lod Airport, Tel-Aviv. People had been in commercial airliners for 15 hr and more, of course, but they had not covered the JUST before Christmas the Israeli airline El Al played an overture tithe inauguration of their transatlantic Britannia services by flying non- stop from die U.S.A. to Israel. The author of this article, a member of the staff of "Flight," was on board. He describes the journey, and gives his impressions of how the first foreign operator of Britannia* is settling down with its new aircraft. distance—6,100 st. miles—we intended to travel in that time. The Bristol representative winced slightly at the way the Manchester Guardian heaved himself into his berth, explaining with mocking reproof on behalf of his stress office that steps were provided for this operation. Those of us in sleeperettes were probably just as comfortable as the lucky four in berths, with our5 3 in of fully-reclined pitch and our woolen El Al rugs. Those in the normal 42in pitch first-class seats slept soundly, though Think the I.A.T.A. surcharge for a sleeperette will be found to be worth $50. Cost of a berth is $75, and providing one has the privacy of curtains I think this is worth the money too. The soporific hum of the Proteus and the confining effect of the lowered berths made our cabin very cozy. Before finally settling off I strolled up front. The duty crew, in their grey gold-braided uniforms, were intent and pre-occupied. The Jetstream forecast by New York met. could not be found, though we had changed course twice. "Jed" Williams, who had had a hard day at the airport, was comparing his radio- and pressure-altimeters and keeping watch on the outside temperature gauge, trying to get wind of the elusive Jet stream by the rapid tell-tale changes in pressure and temperature. He reckoned that the forecast stream we were seeking had changed direction from northwesterly to north, and a cross-check with a weather-ship tended to confirm this. Unless we found a tailwind soon, it was touch and go whether we would make Tel-Aviv non-stop. When we were awakened for breakfast at 11.30 G.M.T. by the stewardess (looking remarkably neat and uncreased after her night in a tourist chair) it was daylight, the sun having risen fast to meteor flight into the dawn. We were now on the third step of our cruise, at 29,000ft. Up front, the crew were more optimistic of our chances. We had found a 90 kt tailwind component for about two hours during the night, and were now being steadily puffed along by a wind component of 30 to 40 kt. In an hour or two we should receive London's six-hourly European met. forecast, and the moment of decision—to press on to Tel-Aviv, or to refuel at Rome—would come somewhere over France. For the time being, gallons-gone versus distance-to-go looked promising, and at 13.10 we began to ascend our next 2,000ft step to 31,000ft. The captain nicked us up on his S.E.P.2 autopilot, maintaining the A.S.I, to within 5 kt of the new (lower) target speed which, according to El Al's cruising charts, apparently worked out at 205 kt for the particular weight, height and outside temperature conditions prevailing. The point at which one starts the next step is, I was told, very critical: a couple of knots too soon or too late, as the A.S.I, creeps up with decreasing weight at constant height, and quite serious effect on economy results. The actual technique of the climb is also very critical: El Al have tried many methods, including just simply allowing the aircraft's momentum to carry it up. But as the nose went up the speed dropped and drag increased, and this was tried only twice in proving flights. 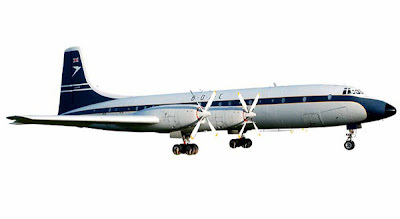 Techniques are:, of course, still being refined and streamlined, and a large document known as the Green Book, which contains cruising tables, charts and recommended practices for all routes and conditions, constitutes El Al's operational bible. El Al have worked all this out for themselves in the course of paper operations going back to September 1955, and in proving flights since last September when their first aircraft was delivered. I was allowed to look at the Green Book, but not to make notes from it. My impression of this document was that it appeared to be an exceedingly work-manlike effort to get the most out of the Britannia, its two fundamental precepts being to extract the most value from every pound of fuel, and to make things as simple as possible for the crew. "Seventeen years as a practicing navigator," remarked Jed Williams, "have tended to make me avoid fancy techniques, how- ever good they may be in theory." They had no "prima donnas or special wizards" in El Al. Full realization of the detail of El Al's performance work For the record flight to Tel-Aviv 11 rows of tourist seats were removed, as shown here, because full pressure-refueled tankage could not be obtained at New York. dawned on me when I noticed in the Green Book detailed Britannia charts for the 200-mile London-Paris sector. At least three different operational techniques were considered, the conclusion being that block time and fuel consumed were much of a muchnnes, the approach techniques being likely to waste more money than this or that kind of cruise. I asked about the extent of Bristol's support, and whether it was not unusual for an airline—particularly one as small as El Al —to be expected to do so much basic performance work. It was unusual, I gathered, but Bristol had provided them with a Tel-Aviv-based performance engineer, and had very quickly learnt that a theoretical cruising grid, say, was not always sufficient in airline practice. Of the rest of Bristol's technical support, I was later told by Mr. Palgi that it has been "of the highest possible order." I asked why El Al's scheduled London-New York times were faster than B.O.A.C. 's (10 hr 50 min westbound, compared with 12 hr, and 8 hr 30 min eastbound, compared with 9 hr 50 min).I never really got a conclusive answer to "that loaded question," as a Bristol representative described it, so I expect that the truth lies somewhere between a little optimism on one side and a little cautiousness on the other. I know that both airlines have been out to break the Atlantic "four-minute-mile"—New York- London in eight hours—and El Al actually got within three minutes of it on a proving flight on December 7. But a good deal of nonsense has been spoken and written about the trans-Atlantic Britannia rivalry between El Al and B.O.A.C. It has been said that the Israeli airline was all-out to beat the British Corporation in the introduction of transatlantic Britannia ser- vices. This is not so, though it may have appeared to be so. A storm in a teacup was caused by a $3,400 full-page El Al advertisement in the Herald Tribune of December 6. (The president of Aeronaves de Mexico, whose Britannia 302s were at that time due into New York on December 16, was so impressed that he asked to reproduce it at Acronaves' expense in Mexico City newspapers.) The advertisement showed a photograph of the sea, with the heading: "Starting December 23 the Atlantic Will Be 20 Per Cent Smaller," and the caption: "Watch for the inauguration of the first jet-prop service across. 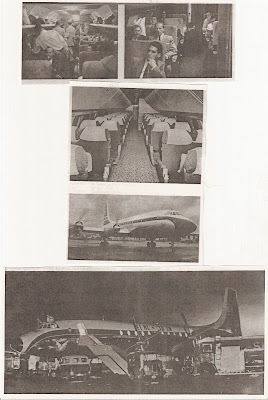 the Atlantic, introducing the Bristol Britannia." At this time B.O.A.C. had stated that their Britannia services El Al carry one stewardess and three stewards on Britannia services. Until now El Al have not offered first-class service, but they are learning very quickly about the scale of the competition in this kind of business, and are offering a high standard of service would start "within the first three months of 1958," though the Corporation were unofficially aiming for December 19. Flight, November 29.) B.OAC then officially announced that their inaugural service would be on December 19. Brig-Gen. E. Ben-Arzi, managing director of El Al, is reported to have said when asked that no one in Israel felt anything but pleasure that B.O.A.C. should be first on to the Atlantic with Britannia’s. The vigor and drive of El Al's advertising and public relations in New York is impressive. No opportunity is lost to get the Britannia "jet-prop" (never once did I hear mention of the word turboprop) into the newspapers. I even heard America's "Mr. Television," Milton Berle, getting "the folks to give it a big hand." El Al's view is that Americans don't buy things, they're sold them—and 60 per cent of El Al's traffic originates in the U.S.A. I incidentally learnt quite a lot about American-style public relations during a morning in El Al's New York office. The airline's reaction to a scurrilously inaccurate Britannia story in an influential popular magazine was not protest and a demand for correction: instead they took the view that the fault was partly their own, and they set about getting a new and different story into the magazine. When the U.S. press rang El Al they always seemed to be given full information, which isn't easy when head office is 6,000 miles away. By 1600 hr the sun was fast receding behind us, and we were flying into the dusk. We were over Marseilles, and crossed- fingers were the reply received by someone who asked whether we were going to make it. One moment I looked down at Marseilles in daylight; when I looked out a moment later it was dark. The Proteus engines, humming imperturbably after ten hours, had merged into the blackness, their bulk intermittently illumined by our flashing roof-top beacon. The altimeter showed 33,500ft, the odd 500ft indicating that we were now flying European airways. We started our climb to 35,500ft—a comparatively slow ascent to our final cruising level. This was jet height, unlikely to be reached by payload-laden Britannia’s in service. But temperature, as much as weight, determines cruising level: it was — 65 deg C outside, and we stayed at 35,500ft for the next four hours until it was time to descend. It might conceivably have been worth climbing to 37,500ft, but by 20.15 G.M.T., when our speed and weight were ready for the next2,000ft step, it was time to chop the throttles for the descent to Tel-Aviv. Just before darkness I talked with Mr. Yoel Palgi, El Al's deputy managing director. Like his managing director, Brig-Gen. Ben-Arzi, Mr. Palgi wears a permanent, genial smile. He became a legendary figure during the war as a Resistance leader in the Balkans; his understanding of the air transport business is apparently also something of a legend. I began by asking him why, with El Al's Lockheed affiliations, and his country's associations with wealthy Jewish interests in America, they had chosen the Britannia. Because it was, in their opinion, the best technical product available, he replied. Did he think the Britannia would hold its own against the big jets? Ten hours out from New York, with another five to go before reaching Tel- Aviv. "For a while," he said, "perhaps until 1963." Opinions differed within El Al, but his view was that in order to maintain the market-penetration which he hoped would be achieved by the Britannia, they might have to think about jets in about 1963. 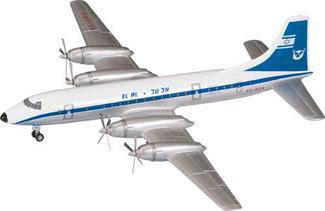 El Al, he explained, had no ambitions to be anything more than a minor Atlantic carrier, but they hoped to double their share of the traffic—from its present 1.3 per cent (7,900 passengers in1956) to 2.7 per cent—with their Britannia’s. I knew that, alone among Atlantic competitors, El Al have always concentrated on tourists, at least since 1952, ignoring altogether the first-class business. I asked Mr. Palgi why this was so, hoping he would go on to comment on El Al's future policy as to I.A.T.A. 's thrift-class fares, due to come into force on April 1. 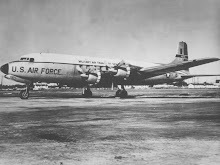 The U.S.-Israel traffic potential, he explained, has not been great enough to justify different classes of service, nor had El Al the right aircraft (four early-model Constellation 049s), the frequencies or the advertising budgets to offer different classes of service. Though El Al had fifth-freedom rights at London, Paris, Rome and Athens, about 80 per cent of their traffic was carried between New York and Tel-Aviv. "People tend to think of us as a way of getting to and from Israel and America: they don’t normally think of us as a transatlantic carrier with European terminals." Hence the neglect hitherto of first-class business, though with Britannia’s they now had an opportunity to promote it. He pointed out that transatlantic traffic between Europe and America had doubled in five years: traffic between Israel and America had increased by only a half in the same time. El Al now had a chance to carry the public they had been losing, though the first-class passenger was "the most unfaithful kind of public imaginable." You had to catch him, "and you can't catch him without competitive service, and the right frequencies. Now we have a chance." The Britannia would concentrate on the Atlantic route, and the 049s would do the European sectors for awhile. Their resale value would probably be small, he admitted. What had El Al's policy been within I.A.T.A. towards thrift-class fares? He smiled broadly at this question, and I imagined that El Al had made a determined stand on their policy. "In principle, we are flat out for thrift-class fares," he said, but El Al had to consider them in their own specific interests. Thrift fares as proposed in I.A.T.A. were between the European gateways and America; and El Al did not have the capacity to offer tourist-class Early-morning scene at the arrivals area of New York's new international terminal at Idlewild. We hope to describe this remarkable new terminal in an early issue. El AT* Britannia’s will be in and out of New York at a once-weekly frequency tor the time being. fares between Tel-Aviv and Europe, nor were they prepared to meet the time-consuming expense of a change to thrift seating and amenities at their European terminals. In other words, El Al wanted to offer thrift fares right through to Tel-Aviv. But I.A.T.A. resisted this as discriminating against the other Middle East carriers. El Al sought to offer tourist accommodation at thrift fares, their justification for this argument being that, alone among Atlantic operators, their tourist layout had six-abreast seats. 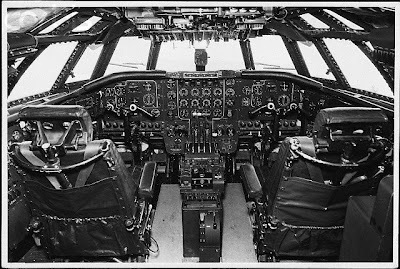 They argued in terms of passenger volume, rather thanT.34 passenger pitch, which they maintained does not fully define passenger comfort, since this depends on the design of the seat. In the end El Al won their point. They would offer tourist accommodation for thrift fares—and Britannia travel for good measure. My guess is that they will have a decisive competitive advantage. As generally agreed, free sandwiches and non-alcoholic drinks will be served to thrift-class travelers. Mr. Palgi explained El Al's choice of American Hardman six-abreast tourist seats rather than British types. It was their conclusion that Hardman offered the most comfortable triplet it cost "quite a lot of dollars," and it was heavier. He reckoned that the total weight penalty of installing American chairs in the Britannia’s amounted to 600 lb, but that this was worth it "for the remarkable difference in tourist-class comfort.” I must say I had flown tourist by El Al Britannia to New York without complaint—an 11 1/2 hour trip of which seven were spent sleeping without a stir. There are 12 tourist rows in all, set at 36in pitch on standard-track rails. Some chairs arc upholstered in turquoise, others in grey with turquoise arms. The deep-pile aisle carpet is mushroom, the cabin walls are grey, and the linen window-curtains are patterned in greens and yellows. The general effect is most pleasant, though, with great respect for El Al's taste, it was my personal opinion that the brown "wood-veneer" bulkheads didn't quite strike the right note. They present a real opportunity for what the Americans are calling jet-age decor, and providing an effect can be achieved which does not make the cabin too "busy," and which is serviceable, con- temporary styling of the bulkheads would probably make all the difference to El Al's Britannia’s. El Al have not yet finalized their first-class configuration, pending discussions with the A.R.B. about the quick-release mechanism of the two emergency exit doors at the extreme aft end. This is one of those matters which can, if the authorities insist that chairs must not be in front of exit doors (as they are in front of window exits), mean loss of revenue—and four first-class passengers without sleeping berths or sleeperette-type chairs. I was particularly interested to learn how El Al had organized themselves for the introduction of their new aeroplane. This is a problem which many airlines are now having to tackle. El Al had to decide whether to create a new Britannia group, or to adapt their existing departments to handle Britannia development. They finally compromised, forming in September 1956 a "planning and development group" (under J. E. D. Williams) to handle operations and performance, adapting existing departments to handle comparatively straightforward matters such as training and spares. Though shortage of manpower is El Al's big problem (payroll is 1,300) this has its own advantages—the most important being "speed of communication." Major problems can be settled quickly without resort to ponderous administrative machinery: in the event, El Al's compromise has worked. Gradually, the planning and development group will be allowed to drift back into the existing administrative system. I asked Capt. Tohar about training. I gathered that every pilot has about 160 Britannia hours before he carries passengers— 15 hr conversion-flying and 30 hr flight familiarization at Tel-Aviv, followed by 75 hr of route-proving and a final 30 hr :of check-flying. Expense of the first two items would have been cut had El Al had the Redefine Britannia simulator, but this is not due for delivery until June. Three captains were trained at Bristol, including Capt. Tom Jones, the British flight superintendent. Of El Al's 16 captains, all are Israeli except for three Americans and Capt. Tom Jones. (The airline has no particular policy about the nationality of its staff.) About 120 Israeli engineers have taken aircraft or engine courses (or both) at the Bristol school, or at the new El Al school—"of which we are very proud"—at Tel-Aviv. The number of Bristol-trained instructor sat the airline's school has varied between five and ten. 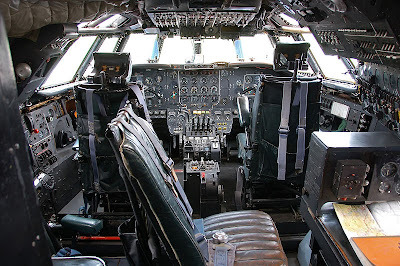 I paid a last visit to the flight deck just before the descent. Some of the crew had, I believe, been on continuous duty for 36 hours, but their jubilation was unconcealed. In progress, in fact, was a light-hearted dispute in Hebrew about the ownership of a banana. Incidentally, there had been no snags. We had made it, with 4,500 lb fuel reserves intact—sufficient for another hour and ten minutes cruising. We had flown a distance of 6,100 miles in 14 hr 57 min; at an average speed of408 m.p.h. (of which about 50 m.p.h. was tailwind). At Lod Airport, as we taxied up to the wailing crowds, the floodlights and the cameras, I heard someone.